If there is one thing we love, it's when an artist takes their music videos to the next level! 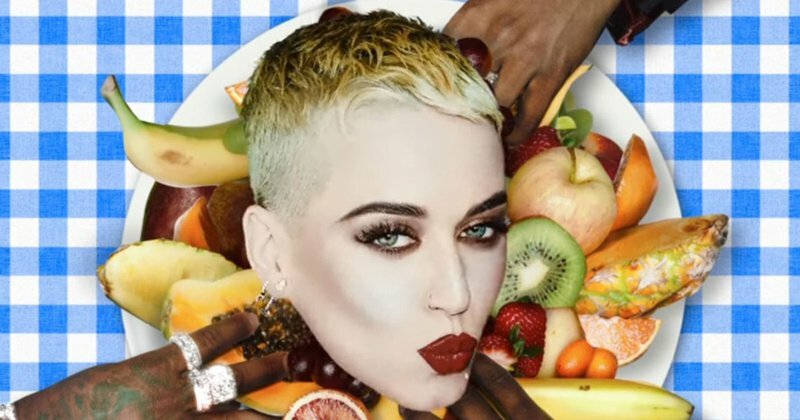 Katy Perry is an artist that needs no introduction and her latest music video to her current single, 'Bon Appetit', is a masterpiece. In the video Perry is cut from a plastic, much like you would cut open a tray of chicken fillets wrapped up in cellophane. She is then tossed into a pit of flour and knead by a number of chefs in the kitchen, much like you would soften up some dough. This is brilliantly depicted on screen, and Katy's comical facial expressions lighten up the somewhat twisted display on screen. She is also placed on a serving board and covered with different types of food and transformed into her current real-life look. The video is brilliantly shot and cleverly shows how Katy underwent a dramatic transformation. Much like Miley Cyrus, it seems like this is the year of the pop divas!